Bilberry (Vaccinium myrtillus) fruit and its products can be found in health products, foods, and cosmetics, and are marketed as dietary supplements in the United States and as phytomedicines in the European Union. In 2011, bilberry dietary supplements were the 15th best selling single-herb supplement in the mainstream market in the United States, which includes grocery stores, drug stores, and mass-market retail stores. Reported health benefits of bilberry are primarily in the vascular domain and include treatment of vascular insufficiency, capillary fragility, and retinopathy. “Given global demand for this relatively high-cost, wild-harvested berry, bilberry supplies are reportedly rife with economic adulteration,” wrote HerbalGram article co-authors Steven Foster, an author and widely published botanical photographer, and Mark Blumenthal, ABC’s founder and executive director, and editor of HerbalGram. According to the article, the world’s entire supply of commercial bilberry is wild-harvested, primarily in Scandinavian countries and in Eastern Europe. “[T]he relatively small region of growth for bilberries suggests that there is not much elasticity in the price of raw material,” the authors wrote. One industry expert quoted in the article explains that it takes 100 kg of hand-picked bilberry fruit to make 1 kg of extract, which can cost anywhere from $325 to $600 for the bilberry raw material alone, depending on seasonal supply and other factors. Therefore, considering other costs (e.g., refrigerated storage and transportation, extraction, etc.) the economics strongly suggest that some of the lower-cost bilberry extracts currently available in the global supply market are adulterated with other, cheaper, ingredients. Some of the known adulterants include amaranth dye (also known as azo dye or Red Dye No. 2). [The dye is used to “trick” certain types of analytical methods, and is not to be confused with the food called amaranth (Amaranthus spp.).] Additionally, third-party laboratories have reported adulteration of commercial bilberry samples with charcoal, black soybean (Glycine max) hull and black rice (Oryza sativa var. indica) hulls. Other items include other lower-cost fruits containing anthocyanin pigments, the primary active compounds found in bilberry. Further, language confusion is a potential basis of adulteration; translation errors, including mistaking “blueberry” for “bilberry” or other similarly named species of the botanical genus Vaccinium, can result in the use of improper material in some countries. The article is the fourth installment in the ongoing ABC-AHP-NCNPR Botanical Adulterants Program, a collaboration of the American Botanical Council, the American Herbal Pharmacopoeia, and the National Center for Natural Products Research at the University of Mississippi. Previous articles produced by this program have detailed thehistory of adulteration of botanical ingredients (HerbalGram issue #92), the adulteration of skullcap (Scutellaria lateriflora) with germander (Teucrium canadense) (issue #93), and the adulteration of commercial “grapefruit seed extract” (supposedly derived from Citrus x paradisi) with synthetic industrial disinfectants (issue #94). The bilberry article was peer-reviewed for accuracy by numerous experts, including analytical chemists from independent third-party analytical laboratories. 1. 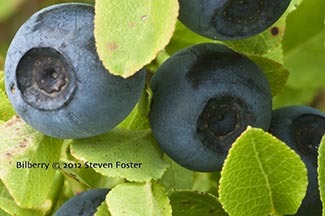 Foster S, Blumenthal M. The Adulteration of Commercial Bilberry Extracts. HerbalGram. 2012;(96):64-73. The ABC-AHP-NCNPR Botanical Adulterants Program is a consortium of independent nonprofit organizations whose mission relates to education, scientific research, and quality of botanical dietary ingredients and related plant-derived materials. The consortium is endorsed and supported by over 85 natural product industry companies, independent analytical laboratories, law firms, trade associations, and accredited institutions of education in natural medicine, all of which are involved in the production, supply, manufacture, distribution, marketing, analysis, research, and/or education of herbal dietary ingredients and supplements. Natural Factors Nutritional Products, Inc.
Ningbo Greenhealth Pharmaceutical Co., Ltd.
Law Office of Holly Bayne, P.C. *By acknowledging the generous support of these companies and organizations, ABC, AHP, and NCNPR are not endorsing any ingredients or products that may be produced or marketed by them. Founded in 1988, the American Botanical Council is a leading international nonprofit organization addressing research and educational issues regarding herbs, teas, medicinal plants, essential oils, and other beneficial plant-derived materials. ABC’s members include academic researchers and educators; libraries; health professionals and medical institutions; government agencies; members of the herb, dietary supplement, cosmetic, and pharmaceutical industries; journalists; consumers; and others in over 81 countries. The organization occupies a historic 2.5-acre site in Austin, Texas, where it publishes the peer-reviewed quarterly journal HerbalGram, the monthly e-publication HerbalEGram, the weekly e-newsletter “Herbal News & Events,” HerbClips (summaries of scientific and clinical publications), reference books, and other educational materials. ABC also hosts HerbMedPro, a powerful herbal database, covering scientific and clinical publications on more than 240 herbs. ABC also co-produces the “Herbal Insights” segment for Healing Quest, a television series on PBS. ABC is tax-exempt under section 501(c)(3) of the IRS Code. Information: Contact ABC at P.O. Box 144345, Austin, TX 78714-4345, Phone: 512-926-4900. Website: www.herbalgram.org. Contact: Public Relations. AHP is a 501(c)(3) California-based nonprofit research organization. AHP’s primary goal is to develop standards of identity, purity, quality, and testing for botanical ingredients and to provide industry with the resources needed to assure the authenticity and quality of botanical raw materials. Additionally, with most all monographs, AHP develops a Therapeutic Compendium that provides a critical review of the authoritative traditional and scientific data on herbal medicines to ensure a high level of accuracy, clinical applicability, and safety of herbal ingredients. AHP also provides industry with authenticated AHP-Verified Botanical Reference Materials for GMP compliance with identity requirements. The National Center for Natural Products Research (NCNPR) at the School of Pharmacy, University of Mississippi, is a unique university-affiliated research center devoted to the study of natural products and the realization of their benefits in human health, agriculture, and other applications. The NCNPR is recognized as a Center of Excellence for botanical supplements by the FDA’s Center for Food Safety and Applied Nutrition. Thanks for the bad news. I’ve tried growing them in the Arkansas’ Ozarks, without success…but you’ve inspired me to give it another try. Did you ever grow them here and do you know of any successes?